Speaking at AfriSam’s 2018 post-budget breakfast in Sandton recently, Dr Jammine advised industry to temper its enthusiasm for now and not to expect “too much too soon”. He said it was true that new political leadership had opened the way for a more positive economic trajectory, but warned that more concerted economic restructuring was still required for a sustainable recovery. On the plus side, he pointed to sharp declines in long term interest rates that will mean lower interest repayments on government debt, allowing for revenue to be channelled to other areas of spending. Fixed capital investment is also likely to accelerate. He pointed to structural issues such as the poor position of state-owned enterprises, which have essentially “run out of cash” and no longer have the revenue to commit to infrastructure spending. The number of skilled people leaving the civil engineering sector would also hold back its recovery, while the rent-seeking practices at the heart of crises in many municipalities would be difficult to correct. The picture was not much better in the building sector, he noted, where house price inflation needed to rise faster before any improvements in demand for products like cement and concrete could be expected. Producer price inflation in building and construction was tight at just 2,5%, lower than the average for the overall economy. Richard Tomes, sales and marketing executive AfriSam, highlighted Dr Jammine’s point that fixed capital formation needed to be about 25% of gross domestic product if it is to really promote a sustainable growth path. “We are nowhere near that figure, in fact, we are not even at 15%,” said Tomes. “The last time we managed to get close to this target was around 2007/2008, when South Africa was investing heavily in infrastructure ahead of the 2010 FIFA Soccer World. It was during this time that there was a cement shortage, leading some players to introduce new production capacity into the market, which led to a cement surplus. This short period of growth however came crashing down very fast when the global financial crisis set in. Although we have seen global markets recover since then, South Africa has, unfortunately, not kept pace with growth in the global economy. 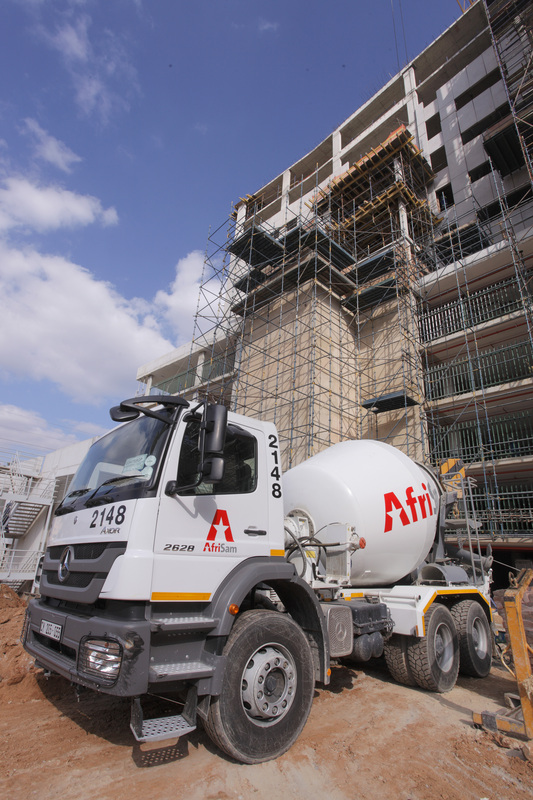 Even though the country’s growth forecast had been raised to a possible 1,9% for 2018, there was no “massive uptick” in cement demand likely – either in South Africa or the rest of the continent.